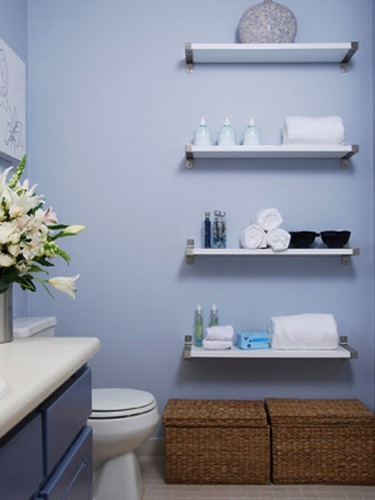 The simple ways to incorporate shelves are explained on the below post on how to organize a small bathroom with no cabinets. There are many disadvantages that you have to experience because of the small space in the bathroom. It should be the place for the relaxation, confinement and leisure. The small room is not easy to access. Thus, many people complain about it. They believe that they cannot relax inside a small bathroom. It is okay for you to skip the presence of bathroom cabinet. This item usually takes a lot of floor space and wall space in the room. Some people decide to skip the cabinet and choose the other creative storage solution. You can install the drawers below the sink. 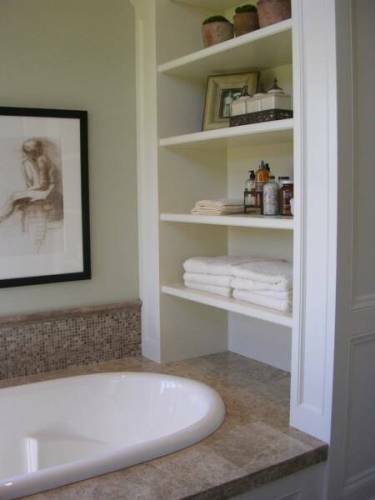 The floating shelves in the bathroom can save you from the clutter on the floor and countertop. 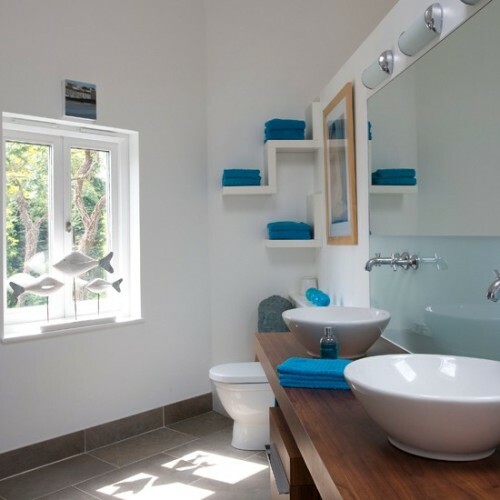 You can use the shelves to store the different types of cleaning products, beauty products and bathroom linen. Decorate the top of the modern floating shelves with the hand towels. The ladder shelving unit is impressed to spot inside various kinds of bathroom decorations. You can have it inside a rustic bathroom and put it at the corner space near the vanity or sink. It can be used to hold the bathroom linen and towels. 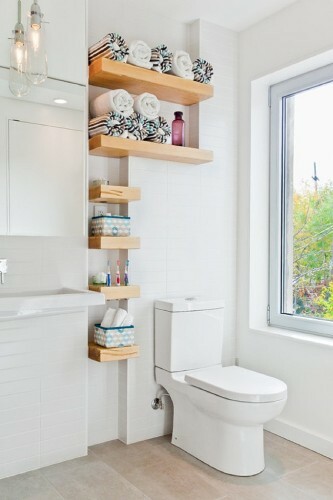 Pick the ladder styled shelves which can match the bathroom color schemes. If you have a rustic bathroom, you can evoke the rough finish on the wooden shelves. Find ways on how to arrange bathroom cabinet here. Most people only have a plain wall located above the toilet. Since you do not have any cabinet, you will need more storage items in the bathroom. You can install a simple rack at the top of the toilet to hold the extra rolled tissue, hand soap and other items. The area behind the door should never look empty. You can install hooks or pegboard on the wall behind the doors. Use them to hold the towels, clothes or even robes. Check guides on how to arrange bathroom closet here. 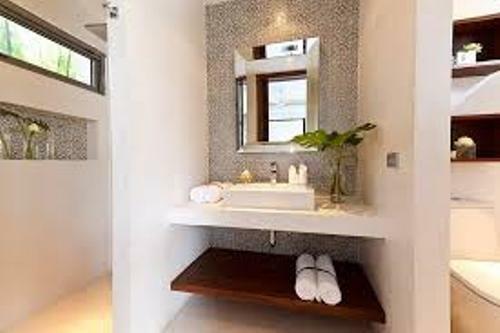 Are you interested learning the ways on how to organize a small bathroom with no cabinets?